The blog has been quiet for while. Fear not, work has been progressing on the post-excavation analysis of the finds. The soil samples from 2017 have all been sieved and the various tiny residues have been sent off to specialists for analysis. Perhaps the most interesting discovery made in the sieving of the soil samples are a few tiny glass beads. These are lovely little objects that would have been worn as part of a necklace by a late Roman Lady. 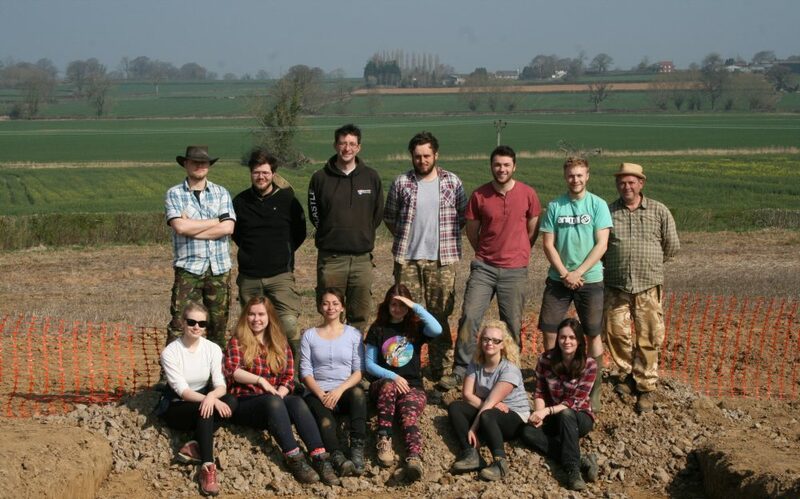 James is currently on research leave, so is planning to crack on with writing the post-excavation assessments. 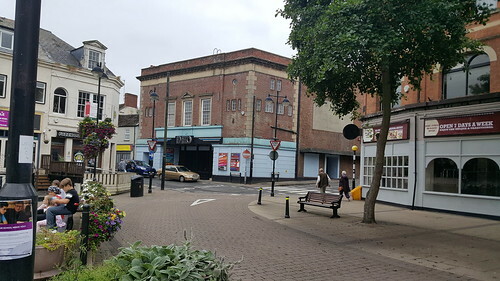 He and Andy have a meeting on Monday to discuss the phasing and plans of the site. Well, we spent the day doing the last bits of recording. This included a few final sections drawings, taking a couple of kubiena samples for soil micormorphology and undertaking a 3D scan of the remains with our Faro 3D scanner. After lunch we backfilled the trench with the help of Colin and his big machine and spread enough grass seed to reseed our trench several times over. The rest of the day has involved packing up camp, loading the van for journey north and also washing the van…. It’s been great. A real rollercoaster of an excavation compressed into a fortnight’s hard work. We cam, we dug, we filled it in and along the way found some fish, rubble and pottery. What’s not to love? We hope you’ve enjoyed following the blog. Please keep checking in with us as the post-excavation work will begin in earnest and new discoveries will be made in the coming months. Today has been our penultimate day on site. Only two more sleeps until our return to Newcastle! Not much digging happened today. It’s the end of the excavation, so most of the time was spent undertaking the last bits of vital recording. This included Charlie and Chris drawing a section (in mirror world and then the right way around) and Annetta and Antonia also drawing a section. James P and Meg undertook to draw a plan of the extension, James G and Josh were also drawing plans. Andy spent much of the day photographing the mosaic. It was also a day that saw quite a few visitors. In the morning, Michaela, an old school friend of James’s, came to see the mosaic with her daughter and niece. In the afternoon we were visited by half a dozen of our friends from SSARG, including Nigel and Liz who carried out the geophysics with James G back in 2009. Finally, we were visited by Pat Witts, author of A Mosaic Menagerie: creatures of land, sea and sky in Romano-British mosaics. She was thrilled to see our fish and even more excited to see that we had excavated part of ‘Panel C’. This part of the mosaic was poorly recorded in the previous excavations and it is apparent that not only does one of our fish have a turned head but just the tip of another survives. 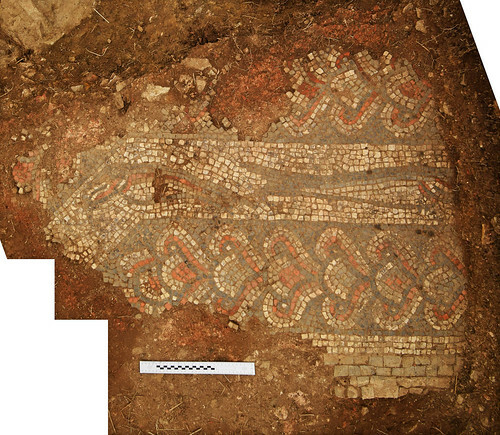 This expands the number of fish on the Lufton mosaic from 29 to 30! Not bad for two weeks in Somerset. Finally, it’s worth recording that back at base Josh found a four-leaf clover. May his (and our) luck continue! 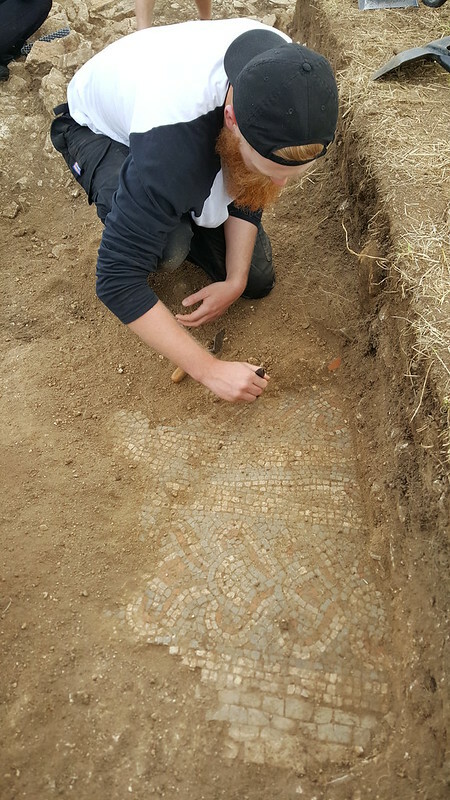 Yesterday in the southern extension to the trench we uncovered part of the octagonal fish mosaic that ran around the bath house. This allows us to confirm that the walling we have discovered is one of the northern buttresses of the building. It’s great to see the mosaic! The open evening is 4pm to 7pm tonight. You can park here and there will be some of the team on hand to direct you along the footpath. You will find the villa at this point. As we only have a two week season this year we’ve decided to have a short weekend. Today (Saturday) has been our day off. This has turned out to be a good decision as the heaviest rain of the excavation has fallen today. Most of the team (older and wiser heads excepted) braved Yeovil’s nightlife yesterday with a trip to Club Neo. Much fun was had and this led to a few of the team rising late today. We’ve generally spent the day relaxing and taking it easy. We are no closer to discovering where the bath house might be. It doesn’t appear to be in our trench! 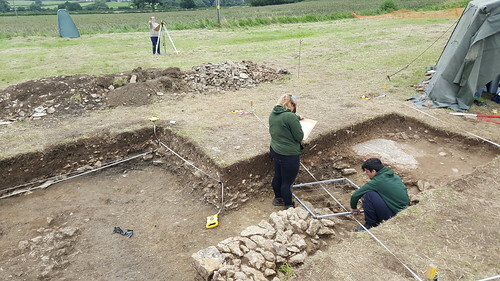 However, we do have some fascinating archaeology and tomorrow we’ll be trying to clarify and record what we have uncovered so far. One of our more interesting finds was photographed by Andy today. 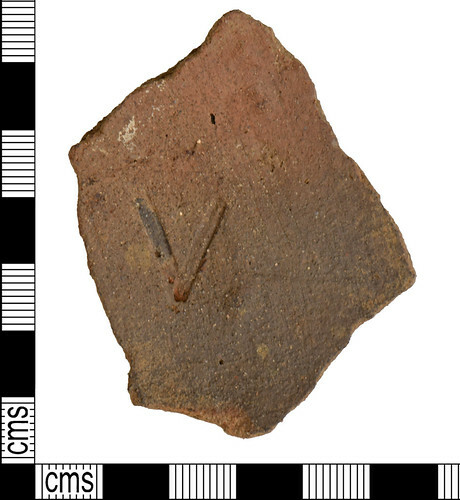 This is a sherd of BB1, which appears to have a ‘V’ stamped on it. This is a pre-firing mark and James is struggling to think of any parallels for it. Post-excavation analysis of last year’s finds is proceeding apace and we’re able to share a few of the results. 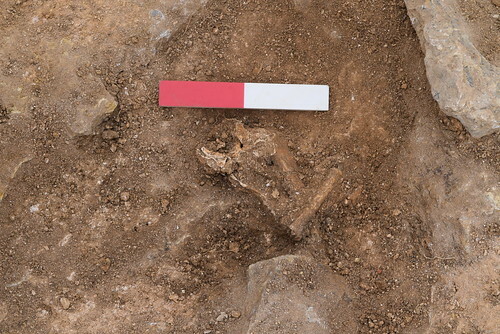 Kevin Rielly over at PCA has assessed our small assemblage of animal bones and in common with many Romano-British sites the inhabitants were exploiting sheep, cattle and pigs. They also had access to mallard (ducks), doves, and chickens. Less welcome visitors to the villa were mice, voles and crows. There’s a little bit of fish bone too. All of this is really interesting as its the kind of evidence that Hayward and his team weren’t able to collect. We’ve also had Dr Jessica Winder look at the marine mollusc shells. 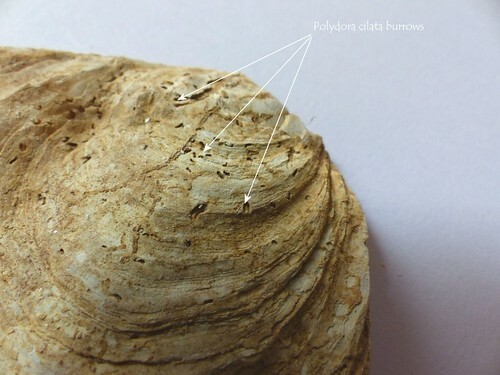 It’s a small assemblage but she thinks the oysters, some shells showing of parasitic infestations, may have come from the Poole Harbour region. One or two of our oysters who notches where they were opened by hungry Romano-Britons. Other marine shells include mussels and winkles. This is fascinating as Lufton is quite a long way from the sea!. 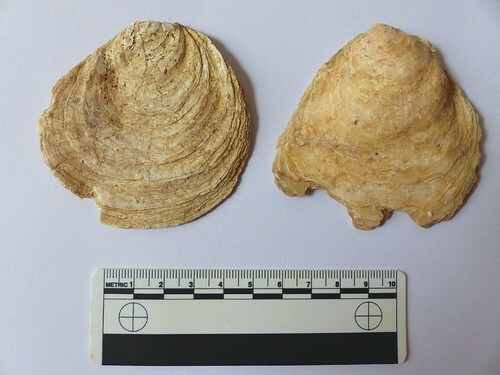 Oysters opened by hungry Romans! Finally, James Langthorne (also of PCA) has identified some neonatal infant bones. This was a bit of a shock to James and Andy but they are probably from a disturbed baby burial. 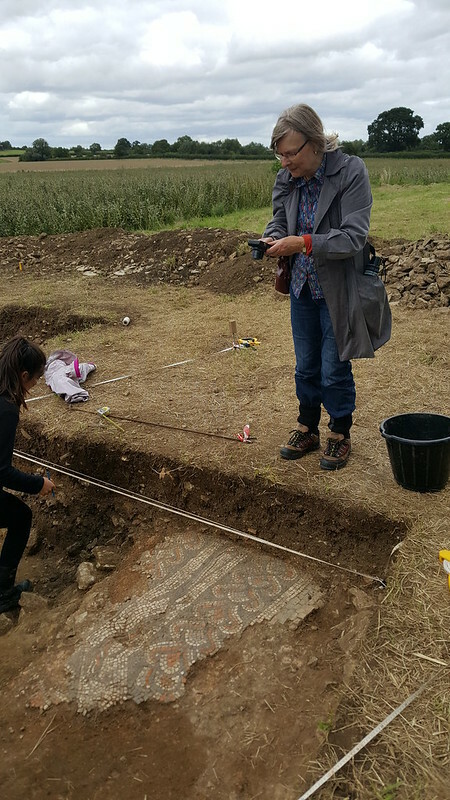 Infants were often buried in the floors of Roman houses and we think that the burial had been disturbed either by the previous excavators or in antiquity by stone robbers. Further work might shed some light on this issue. Third year student Naomi has been busy sorting our soil samples as part of a Careers Service work experience bursary. She’s kindly written a few words on the work she’s been doing and we hope to post a few pictures in the coming days too! 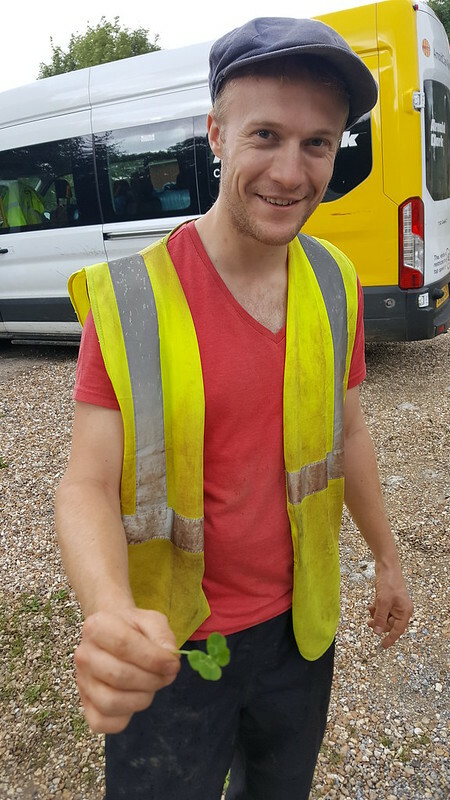 The large number of environmental samples from last season have all been wet sieved and the residues (essentially bags of gravel with tiny bits of bone, shell, seeds and artefacts in) are back in Newcastle. 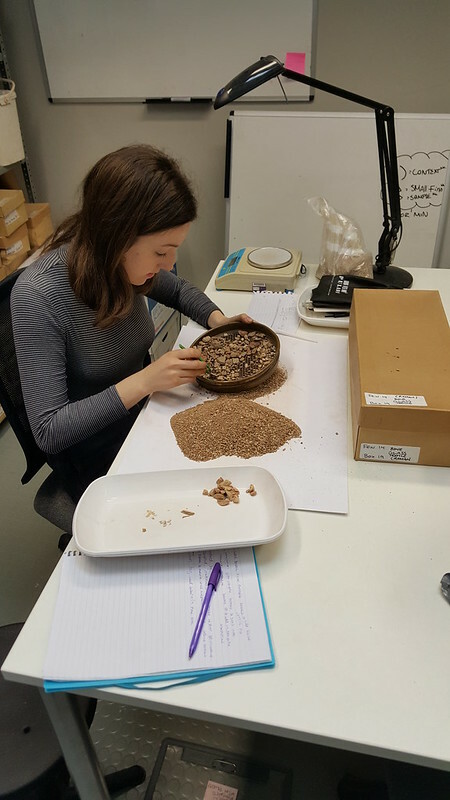 Naomi, who is working for the project at the moment, is currently tasked with sorting the interesting stuff from the gravel. She started yesterday and in the very first sample we identified fishbones and also tiny bones from a chicken’s neck. We’ll post some more updates as work progresses.